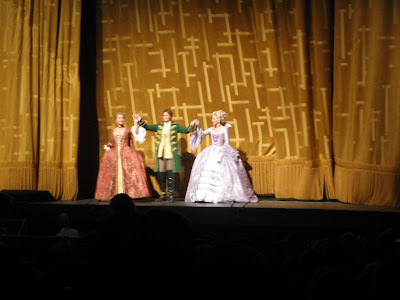 I was lucky to be invited to attend the final dress rehearsal of Der Rosenkavalier at the Met. It's not only one of my favorite operas (I've seen it twice before), but this go around it also stars two of my very favorite divas - Susan Graham and Renée Fleming! It opens this Tuesday the 13th. I have a ticket for the 19th and again for the winter run, when I'll take my mom to see it. Thank you for relating this experience to us, and I must say that I cannot wait to hear this over the radio this winter. 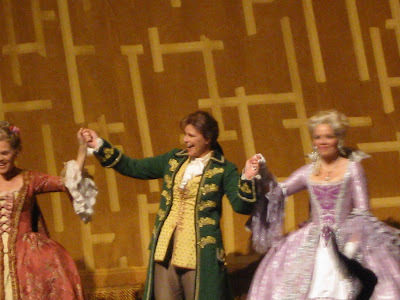 By the way "Der Rosenkavalier" opens on Tuesday, October 13th. I do not think that any of us shall grow tired of hearing this throughout the season, so for all of us who cannot be there on opening night of this production, we can listen to it in a live stream on the Met's website. Since I am a curious person, I am wondering whether Miah Persson's voice can project throughout the vast expanses of the Met. I inquire as to this because I saw a clip of her Sophie from the 2004 Salzburg Festival, and her voice was overpowered by the orchestra at some times, but this may have been a fault on the part of the conductor. Also, enjoy every moment of Ramon Vargas's voice as the Italian Singer. Miah was fine. 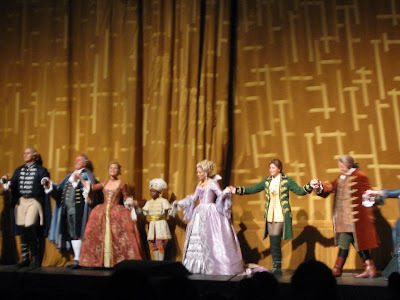 The maestro used a gentle hand with the orchestra so all of the singers were easily heard. 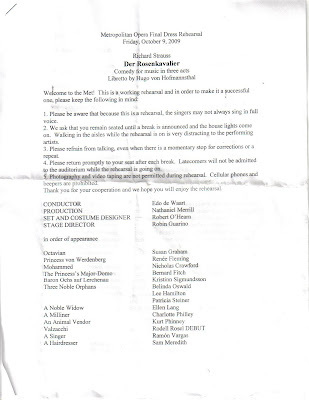 When you finally attend a performance at the Met, you'll also know how good the accoustics are and that singers on stage are rarely, if ever, covered by the orchestra. I always forget about the Italian singer, its such a non-essential role. Ramon Vargas did not perform at the final dress rehearsal - it was Barry Banks and he was fine.